Simple, quick and correct. Very happy, thanks. Perfect! Quality item, much lighter than other waterproof cases, and fingerprint ID works a treat. Fast delivery from company, and cheaper than anywhere else. I have recommended to friends and will use this site again! This is the second Lifeproof case I've had; the buttons gradually wore off the previous one after two years). The case is exactly as it should be. It arrived from Gadgetsboutique on time and was an excellent price; about half of what I paid for the first one. Gadgetsboutique appear to be an honest and reliable company to deal with. I recommend them. This product is one of the best in the market today! I am very happy to say that I enjoy using it , and beside one thing it's just perfect. That one thing is the fact that the button of mute on the side of the iPhone is not really work , I mean it doesn't move back and fort so easily or at all. One more thing is in the earbuds that must be connected to an adaptor (included ,in the box) in order to listen to your music , but I use bluetooth ones so I don't use it. But as I said - other that that ,the case is pretty awesome and the purple color of it is beautiful !!! 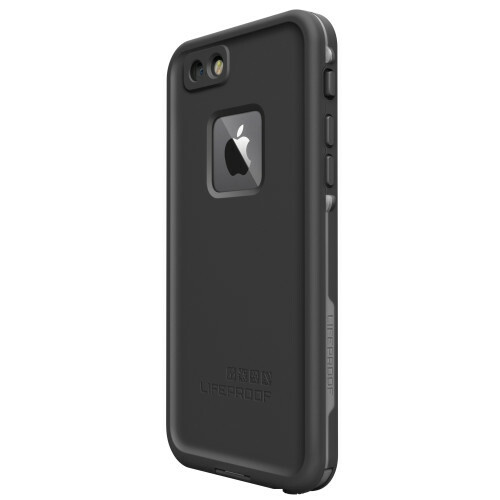 Although the case is expensive compared to similar cases, the slimness, fit and feel go way beyond any other case I have had including the more bulky Otter Box Defender. (Unfair comparison because the Defender is not water or dust proof) I have no intention of using this case underwater but knowing that it is waterproof gives me peace of mind. The only slightly negative aspect, is the film covering the fingerprint reader tends to stick to the button. This makes the fingerprint reader less sensitive. It still works well enough for my liking. Highly recommended and worth the investment when you consider the price of the phone it is protecting.